The U.S. House of Representatives has postponed a vote on legislation that would replace the Affordable Care Act (ACA) and make significant changes in Medicaid. As the vote approaches, our blog summarizes the impact this legislation would have. House Republicans have introduced the American Health Care Act (AHCA), a bill to make sweeping changes to health care through alterations to Medicaid and health insurance regulation. Now, Republican leaders have released an amended version of the same bill. This new version, the product of a series of closed-door meetings, may bode even worse for America’s most vulnerable children and adults. AHCA would cut at least $880 billion of Medicaid funding, passing massive costs and risks on to states. 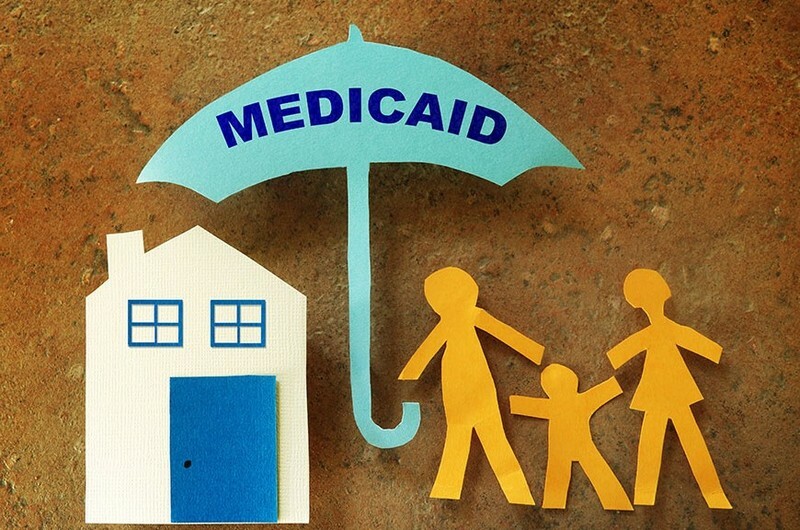 The new version of the bill introduces a Medicaid “block grant” option for states. The bill already included a “per-capita cap” option about which we shared our concerns in our last blog post. In choosing block grants, states would agree to receive lump-sum payments for 10 year periods to provide coverage to certain populations — namely non-disabled adults and children. During those periods, the size of the block grant would increase every year to match inflation but would not take into account other factors like recessions (which cause Medicaid enrollments to rise), increases in the cost of health care, or even population increases. Under block grants, states would have fewer coverage requirements for children, effectively eliminating the comprehensive standards of care for children provided through the Early and Periodic Screening, Diagnostic and Treatment (or EPSDT) guidelines. For 50 years, EPSDT standards have established a clear benchmark for the care to which kids have access. Without these protections, it is not a stretch to say children’s oral health coverage in Medicaid would be at risk. According to the Congressional Budget Office, AHCA would cut at least $880 billion of Medicaid funding to states over 10 years, passing massive costs and risks on to states. Cutting funding for states and eliminating standards would only weaken children’s coverage, benefits and access to care in Medicaid. And history has shown us time and again, that when budgets are tight, oral health programs suffer. This is also particularly troubling because it shatters the intention behind EPSDT and that of Medicaid. EPSDT is meant to specifically support robust prevention and treatment services to the nation’s poorest children. Even more disturbing, while EPSDT is the most serious concern, it is but one of many. As Sara Rosenbaum pointed out in Health Affairs earlier this week, “the amendment appears to eliminate all federal Medicaid administration requirements,” including state obligations to allow anyone to apply for assistance; to provide medical assistance with reasonable speed; to maintain anti-fraud oversight systems; and even state’s obligations to maintain the efficiency and quality of care. All in all, the changes in this bill create even more threats to oral health coverage for adults and children. Many organizations are raising concern about these alarming proposals — from the American Academy of Pediatrics to the March of Dimes. In the last few days, CDHP has joined our partners in signing letters to House and Senate leaders, including a letter signed by over 400 national and state organizations and this press release with other leading children’s health groups. CDHP continues to collaborate and spread knowledge about these important coverage issues. We encourage you to get involved as the debate over coverage continues. For more information on children’s oral health and what you can do, please visit our Why Dental Coverage Matters Toolkit.